Brenda L. Jones, 58, of New Kensington, passed away on Monday, March 25, 2019. Born on November 26, 1960, in Adams County, PA, to the late Calvin and Rose Roth. Brenda is survived by her husband Frank and her children Mellissa, David, Richard, Bobby Jo, and Jeanette Freshwater. 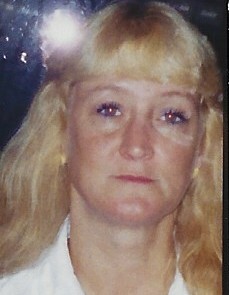 Sister of Sherrie Hammitt, Clavin, Shawn, and the late William Roth. Brenda worked for Thrifty Cleaners in Springdale for ten years. She was known for her kind and compassionate nature, her love for her dog “Bubba,” a good game of Yahtzee and a passion for arts and crafts. There will be a private viewing for family only. Arrangements entrusted to RJ SLATER IV FUNERAL HOME AND CREMATION SERVICE, 1000 Freeport Road, New Kensington, 724-335-0100. www.rjslater.com.